Exploring alternatives to current development programming starts with creating avenues for inclusion of women, men, children, persons with disabilities, older persons, and other marginalized sectors of society – towards developing sustainable measures for achieving human flourishing. A2D Project commits to principles of inclusion and social justice as indispensable aspects of sustainable development. 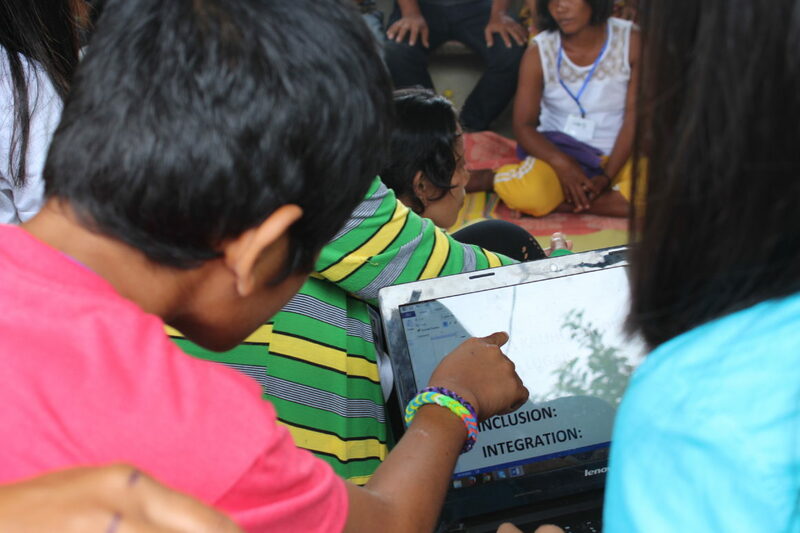 The ENABLED Project is one of the pioneering initiatives currently being implemented in the Philippines that seek to mainstream disability perspectives into disaster risk management programming. 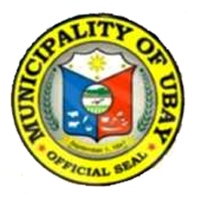 Specifically, the project promotes disability inclusive community-based disaster risk management in the Municipality of Tabogon, Northern Cebu, a town heavily affected by Typhoon Haiyan in 2013 and is also among the municipalities in the province which have the highest prevalence of disabilities within its population. 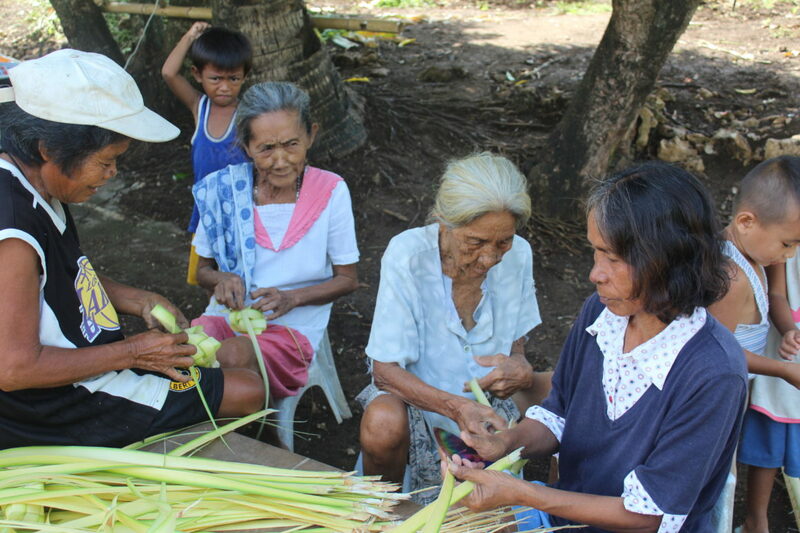 As the project centrepiece, the initiative adopts the Purok System, an internationally renowned participatory whole-of-community-approach to disaster risk reduction, as a means through which disability inclusion can be facilitated. 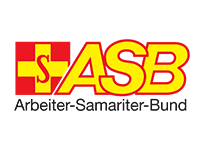 The project is funded by Arbeiter-Samariter-Bund (ASB), a German relief and social-welfare organisation engaged in a wide range of social service provision in Germany and abroad. This project aims to promote participatory gender-responsive budgeting towards building the resilience of selected at-risk coastal communities in Ubay, Bohol. 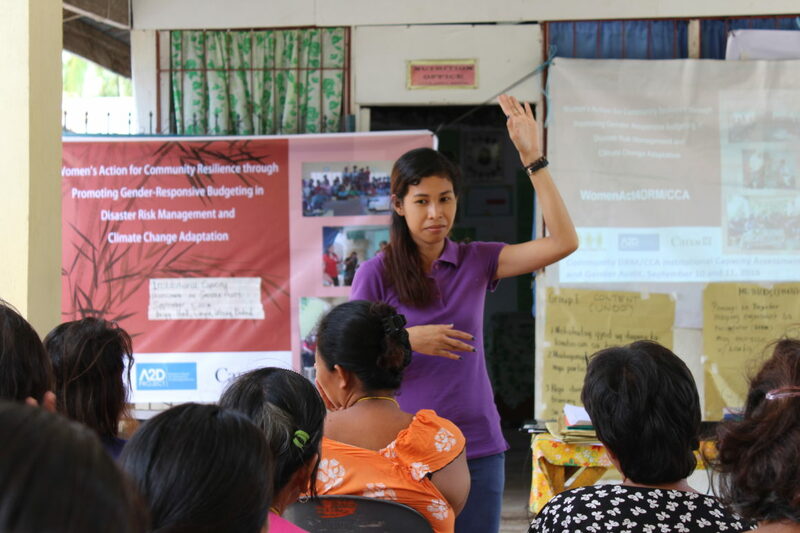 With many community-based disaster risk management initiatives being undertaken in the Philippines, less attention has been given to how budgeting processes reflect social relations of inequality, such as gender, and how intervening in such processes can make DRM/CCA programs of local governments more responsive to the specific circumstances of women and men. Through capacity building and participatory knowledge production on developing gender-responsive budgets, the project expects to make an impact on empowering women to become active resilience leaders in their respective communities as co-equal partners of men. Through increasing women’s direct participation, the project envisions to create more gender-inclusive CBDRM practices by engendering the local budgeting process for DRM/CCA programming. 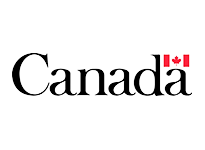 The project is currently being funded by the Canada Fund for Local Initiatives.